Some of the gals on the Viva Las VegaStamps! 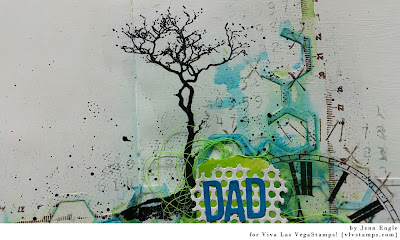 Design Team put together some special projects in celebration of Father's Day! 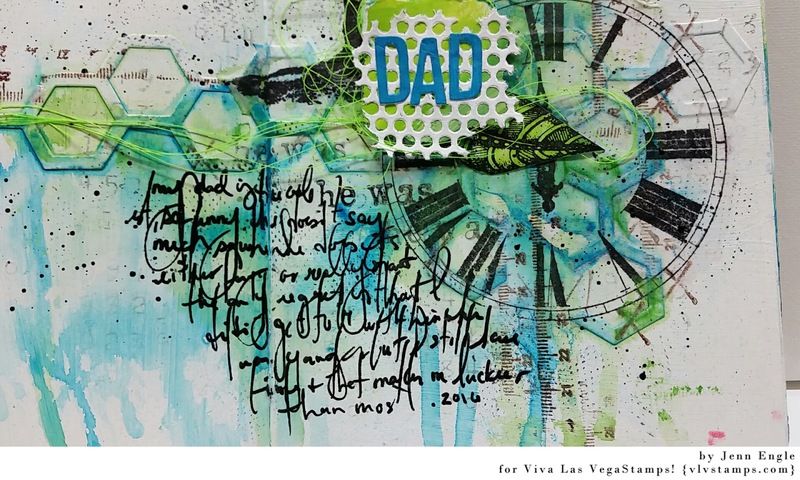 For my project, I decided to make an art journal page to shout-out my dad. 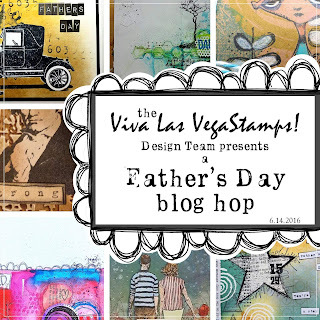 Be sure to check out all the Viva Las VegaStamps! 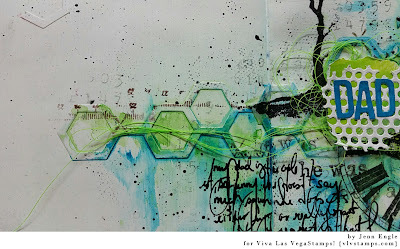 I used on my pages, they are all linked at the end of this blog post. Also, check out all the other blogs on the list to see everyone's projects. 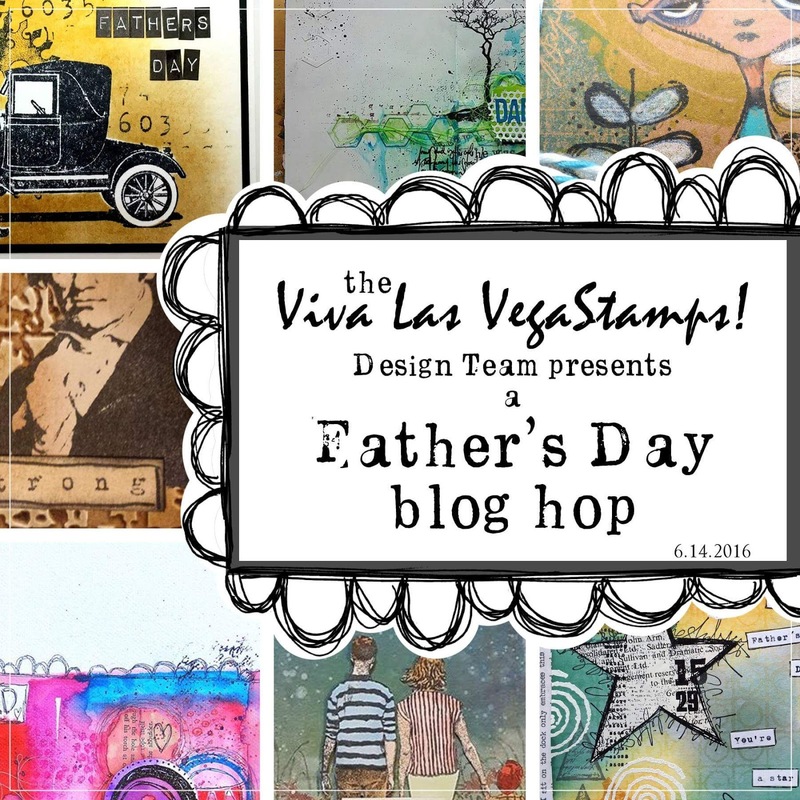 We are giving away a Pound O' Rubber (that's one whole pound of Viva LasVegaStamps! Stamps) to one random comment from one random blog. Be sure to leave comments so you get your chance to win! HOP ALONG TO THE NEXT BLOG! 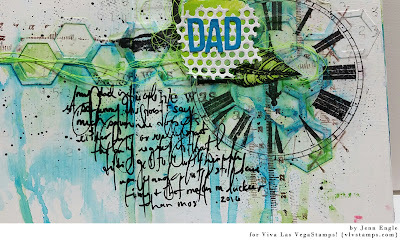 Jenn Engle : http://mixedmediajenn.blogspot.com/ <---- YOU ARE HERE!!!!!!!!!!!!!!!! I can feel love on this one. Really beautiful. Another great page! Beautiful colors. It's so gorgeous, Jenn! I love the colors. the Weathered Tree and the Clockface work so well together! Wow! 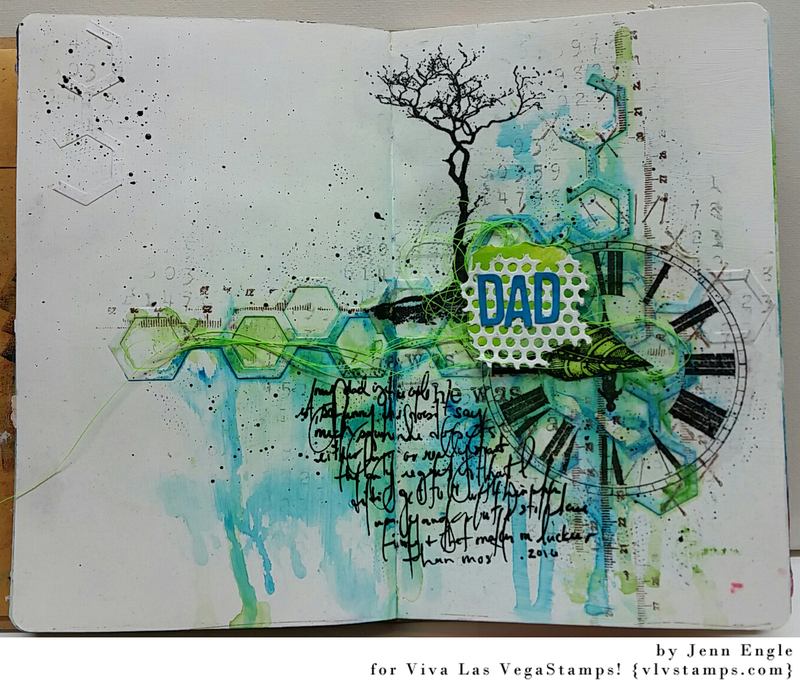 Love all the white space on this journal page. The pops of colour work beautifully with the boldness of the black images. If you haven't already, email Deedee so she can get your prize out to you! Great color combo! Love the creativity! I love your style, Jenn. What a great tribute to your dad. So much wonderful texture in my favorite colors. Fabulous, I really love your style ! 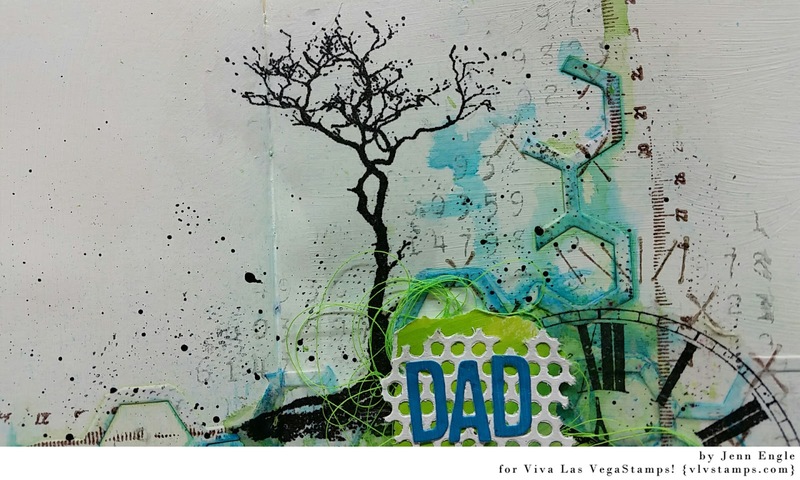 I left you a comment on your tree lady video with a couple of questions but I also talked about how much I Love viva las Vegas stamps so it's awesome to see them used in videos! Really enjoyed the video and watching your process. Made me want to pick up my acrylics inks and play too... Beautiful page! I love how you use the clock stamp. The colors are great, too...and the asymmetry. Beautiful. Thanks so much for making such a lovely project - the colours are really "gentle" together. Thank you for giving me new ideas,awesome card! What a wonderful way to honor your Dad. I miss my Dad so much. You have amazing style and every time you post a new project I can't wait to click on your website. 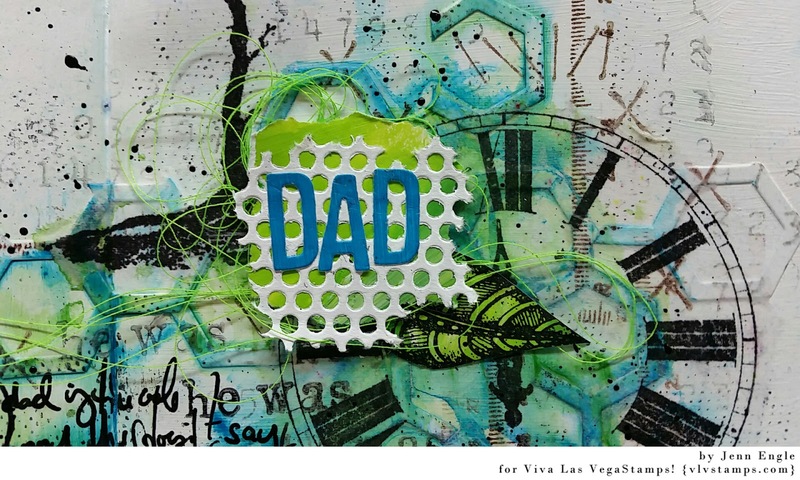 Love Viva las Vegas stamps. 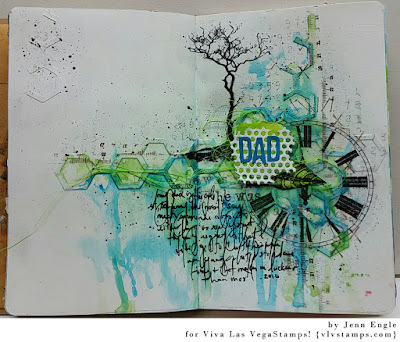 Jenn, this is fabulous art journal pages. LOVE it! Thanks for the inspiration.